Come along and join in the Easter fun from Friday 19th April- Monday 22nd April 2019. We are open each day from 10am – 4pm. 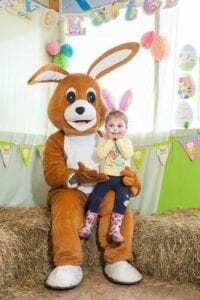 Search the animal trail for eggs, explore the nature trail, meet the Easter Bunny, Easter crafts, face painting, lamb feeding and hold a chick too. The farm and tearooms are also open everyday throughout the school holidays and there will be Easter crafts and a nature trial quiz each day too. Purple Vouchers CANNOT be used on this day.